“Beyond a reasonable doubt” – only in Criminal cases. This burden is carried only if the evidence is sufficient to convince the judge or jury that to a level of near but not absolute certainty – the doubt must be reasonable. Many people seem to be applying this burden to the discrediting evidence concerning Judge Kavanaugh’s character. I suggest this burden is inappropriate in this case. Do we really want to use a standard that would put 10 unqualified persons on the Supreme Court in order to avoid depriving one qualified person of the job? That’s not in the public interest. “Clear and convincing evidence” – used in some civil cases where major wrongdoing is alleged such as fraud. This is very rare. The weight of evidence must be compelling and highly convincing – perhaps 60-70% or more certainty. “Preponderance of the evidence” – this requires evidence to make a fact “more probable than not.” If you were weighing the evidence on a scale, which side is heavier – 51% certainty is enough. This is the normal standard used in courts and many personal decisions. “Probable cause” is based on this concept.The public interest in uncovering crime is so great that the right to privacy can be invaded and a search warrant can be issued if the police offer sufficient evidence to convince the judge that specifically described material “probably” will be found. On the other hand, since the invasion of privacy involved in a :frisk: (a surface pat down of outer clothing) is deemed less than a full blown search, a police officer can stop and frisk any person at any time based on the lower standard of “reasonable and articulable suspicion” that the person is committing or is “about to” commit a crime AND is armed and presently dangerous. This means nearly half of authorized searches and a very high percentage of frisks will NOT reveal the evidence sought. Though a conviction for a crime requires evidence that convinces a judge or jury beyond a reasonable doubt, an indictment – a formal legal charge initiating a trial – requires only a probability that the prosecution can ultimately prove guilt. “Reasonable belief” – also the “reasonable person” or “reasonable doubt” test – this is considerably less than probability. It requires evidence to support rational, logical, defensible belief. I use this lower test in making most personnel decisions because I would rather pass on an employee who may be qualified than accept a high risk of hiring a person without the competence or character to do the job or represent the Institute without creating even a reasonable appearance of propriety. “Credible evidence” – similar to reasonable evidence. Credibility is believability and it is a test for measuring evidence. It exists when a reasonable person “could” find the evidence believable (e.g. a belief based on the evidence offered is not objectively unreasonable). “Corroborating evidence.” This is not technically a burden. A party seeking to carry a particular burden of proof must offer evidence – facts supporting the contention. Corroborating evidence supports other evidence already offered to support the contention. 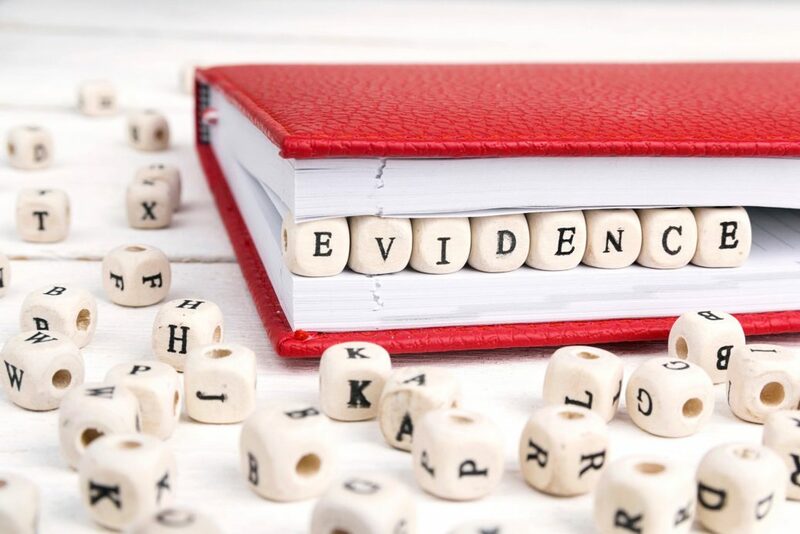 Though evidence is usually cumulative (hence the concept the total “weight” of evidence), a single piece of evidence can be sufficient – a film, a confession, an undisputed document or testimony that is totally believable or not credibly disputed. The “presumption of innocence” refers to a principle of fairness – a person is innocent until proven guilty (by whatever standard appies). In a criminal or civil case the prosecutor or plaintiff has the burden of proof. If that burden is not met the defendant wins. The Kavanaugh controversy centers on separate but related allegations that he is not qualified to be on the Supreme Court either because: 1) he acted inappropriately and lacks character and 2) he lied about his actions or anything else in the course of his defense and lacks credibility. Keep in mind, to the extent the presumption of innocence applies, it does not give any additional weight to evidence (e.g., a testimonial denial) offered by the accused. The testimony of both the accuser and accused are on an equal footing in terms of weight. The presumption of innocence is overcome and disappears as soon as credible evidence is offered. Thereafter the rules of burden apply. Thus, in the Kavanaugh case, there is no longer any presumption of innocence applicable it has already been overcome but the question of whether the evidence supporting the accusation is sufficient to carry the required burden. It has been widely assumed that those seeking to discredit Kavanaugh’s qualifications have the burden of proof (i.e., he is qualified unless proven unqualified) but the presumption of innocence of wrongdoing is different than a presumption of competence. The true issue here is not whether Judge Kavanaugh assaulted Ms. Ford or anyone else but whether in light of this evidence he is qualified to be put on the Supreme Court. Generally, a candidate has the burden of proving his/her qualifications and suitability for the job. Thus, one could argue that it is really the Judge’s burden to overcome the negative evidence to prove his qualifications. In most cases, the burden of proof is stated in the applicable law or established by long tradition (called “common law”). In business and our personal lives – whether we are hiring employees or babysitters or choosing which car to buy– we are permitted, and it’s fair and rational to be much more selective and avoid candidates that we don’t have complete confidence in. I have heard no credible argument that in determining the qualifications of someone about to be elevated to lifetime position on the highest court in the land a candidate is presumptively qualified and entitled to such an incredibly high and difficult standard of proof. It’s relevant that law enforcement and the defense department deny jobs and security clearances on far less than beyond reasonable doubt. That’s why they rely on the results of a polygraph which are usually but not always right. The advise and consent function of the Senate is about qualifications and the consequence is to confer or deny a post of great responsibility. Though denial brings reputational damage, it’s not about a about imprisonment or the label of criminality – a huge difference. It would seem that the public interest in trying to assure competence and character of a person given a lifetime appointment to the highest court in the land outweighs the personal interest in getting a job. There is no rule on the burden in this case so reasonable people can disagree (and they will) on how much evidence is needed to deny or give Kavanaugh the job. Thus, we have several choices of lighter burdens to apply to this case. Another way to look at this is how confident should you be that the candidate is not lying or has not committed disqualifying acts in the past before you give him the job? 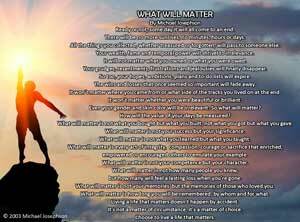 The critical thing is to avoid choosing a higher or lower burden based on the outcome we desire. We should choose the burden we think is fair and right in all cases. Has sufficient evidence been offered? So what is evidence in terms of meeting a burden of proof? In other words, what counts towards carrying the burden? Let’s start by acknowledging the sworn testimony of a someone who has personal knowledge of the subject matter because they saw or heard it is the most common source of evidence. It often is, itself, totally sufficient to carry a burden. Eyewitness testimony can meet the criminal standard if it is highly credible (believable). The weight given testimonial evidence is purely subjective – it is the fact finder’s personal level of certainty. We all know people who we totally believe – they would never lie or make erroneous clams and we know people who we trust much less. If your daughter or a trusted employee tells you something happened you can believe that even in the face of vigorous and unequivocal denial. If a police officer says he found drugs on a suspect and the suspect claims the evidence was planted we can believe the officer and convict the suspect. If we couldn’t rely on testimony, every criminal could escape conviction and every wrongdoer could escape accountability when there are no witnesses or other compelling supporting evidence. Certainly in non criminal cases, often someone’s word is quite enough. f a teacher says he saw a student steal something and the student denies it – we can believe the teacher and expel the student. Thus, Professor Ford’s very specific, “100% sure” testimony is definitely evidence and it is strong evidence. Whether it alone is enough depends on how certain you are that she is telling the truth and how high or low the burden. Of course, Kavanaugh’s testimony is also powerful evidence. Ford’s testimony has been corroborated and is made more credible by additional evidence including results of a polygraph test, evidence of lack of motive to lie, evidence of her character and other factors including prior consistent statements. Again, whether it is enough is a subjective judgment but it is clearly wrong to call this uncorroborated evidence. It is important to note that direct denials of accused perpetrators – Kavanaugh and his friend Mark Judge is conflicting evidence that refutes Ford’s testimony. On the other hand, unless it is alleged that the other witnesses were there at the time, testimony that others allegedly at the party does not remember or did not witness the incident is neither refutational nor corroborating evidence. The concept of circumstantial evidence is also important. Thus, if you believe that Kavanaugh’s entries in his Yearbook and other evidence of his drinking is true, it makes it more likely that he may have been drunk at a party and possibly did not remember it. By the same token, Kavanaugh’s personal testimony and equal certainty is supported by evidence of his character for truthfulness and respectfulness for women is also evidence and if you believe, on the evidence, that he is more likely to be telling the truth than Ford you must conclude that she was either lying or made a terrible mistake. If you believe that it is very unlikely that Kavanaugh was ever as drunk as Ford says he was. this supports his denials. Credible evidence is believable but it can be false. Thus, it is possible to believe that both Ford and Kavanaugh were credible but since their stories are irreconcilable one of them is wrong and in this case, lying (or mistaken if you think it plausible that Kavanaugh did it but doesn’t remember or Ford’s memory is delusional). If you read this far, thank you and congratulations. If this was coherent and helpful, please share it. Thank you- As someone who does not know these terms and has no contact with them- this was a very clear explanation. I appreciate it. I’m normally so impressed by your opinions that I quote them routinely. Not so much this time, though. It appears that passage suffered incomplete editing. Assuming you mean the presumption of innocence was overcome by the accusation, then any accusation would suffice. That would, of course, completely negate the assumption of innocence in the first place and so cannot be true. If you mean there’s credible evidence to support Dr. Ford’s accusation, then where is it? Witnesses? No. Contemporary accounts? No. Collaboration the event happened at all? Not that I’ve seen. Under our Constitution, that qualification assertion belongs to the President. This nomination is especially relevant in that context because the nominee went through the entire confirmation process with no challenges to his qualifications. The current debate arose only after that qualification examination, which easily supports the argument that it’s now about politics rather than qualifications. I held a Top Secret clearance from ages 25 to 57. Those investigations routinely consider and discard unsupported rumors like these. Some, like two of mine, pointedly rejected slander (from a corrupt boss I opposed with exactly the character qualities you routinely champion in my case). In other words, the background investigators rejected unsupported accusations. It’s not about personal interest; it’s about the executive’s Constitutional prerogative in selecting nominees. Minimally confirming that a public event at least occurred is easy. Have the accuser and the claimed witnesses met that easy burden? Not that I’ve seen and the claimed witnesses actively deny the event. So, confidence seems to fall against the accuser, who hasn’t met the easiest of burdens (time and place). In traumatic events like sexual assault, PTSD, serious injury, loss of a loved one, etc., the medical problem is forgetting rather than remembering. In other words, the harsh memories are impossible to forget, thereby causing lasting harm. So, while I fully agree with your evidence overview, I cannot agree with your examples as they relate to the subject nomination. Michael, thank you for this very helpful analysis. Keep up the good work, Just as with Character, it COUNTS!